West Electric provides quality electrical solutions to our customers. We are excited to integrate energy efficency, cosmetic appeal, and adaptable function for the broad electrical needs which are requested each day. West Electric Inc. was started by Harry West in 1946. Harry’s son-in-law, Edward Miller, joined him in 1954 and then became the company superintendent in 1958. 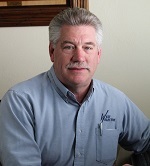 Brian Miller started working for West Electric in 1979, and his brother, Ron, joined the company in 1983 after finishing his apprenticeship. As co-owners of the company since 1984, Brian and Ron continue to successfully balance ownership responsibilities and hands on experience. Both are licensed electricians, and their hands-on approach to electrical work guides the company's motto: "Quality Electrical Contracting Through Teamwork". 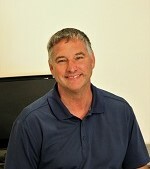 The employees of West Electric continue to prove the reliability and adaptability of the company. Our longstanding affiliations with the the Central Indiana Chapter of the National Electrical Contractors Association (NECA) as well as the International Brotherhood of Electrical Workers (IBEW) Local #481 have helped us reach and maintain the best safety and training standards. The relationships between office employees and field electricians have proven to deliver quality electrical solutions to our customers. Our electricians are licensed through Electrical Training Institute (ETI), which requires completion of the five-year paid apprenticeship program. If you are interested in paid education with on the job experience included, we highly recommend that you visit the ETI link below! Our employees remain up to date with safety regulations including OSHA, ARC-Fault, ARC-Flash, and National Electrical Code though ongoing education courses. We have continued our relationship with the Madison County Chamber (MCC) in support of local community commerce, and we appreciate their article about the start of our company. In addition, we contribute to the St. Vincent de Paul Society as well as the local Christian Center. Our customers will continue to come first. You have made us the operation we are today, and we are grateful for your feedback throughout the process. © 2019 West Electric Inc.